One of the most essential vitamins for human beings, vitamin C plays a variety of important functions in the human body, playing a big part in its proper functioning. The RDA of vitamin C for men & women is 90 and 75 mg respectively. Since vitamin C is neither produced nor stored by our body, it is necessary to meet its RDA by consuming foods that are abundant in it. Keeping that in mind, here are 16 fruits & vegetables rich in vitamin C for you to include in your everyday diet. The first food that comes to mind when we think of vitamin C is orange. Oranges are undoubtedly a rich source of vitamin C with one orange of medium size providing 70 mg of vitamin C, but they also have good amounts of vitamin A, folate, fiber, lutein and potassium. You can also get your vitamin C fix by consuming orange juice, a staple in the American breakfast. Always look to get your orange juice by juicing fresh oranges at home rather than opting for packaged orange juice. Grapefruit is a great source of vitamin C with just half a grapefruit affording 35-45 mg of vitamin C.
It also has abundant amounts of vitamin A, limonoids, carotenoids and the mineral potassium. When it comes to breakfast fruit juices you can consume, freshly squeezed grapefruit juice is certainly a great option. Delicious and savory strawberries are highly nutritious as well with high amounts of vitamin C, folate, magnesium, potassium, fiber and other antioxidants. Research has shown strawberries may aid in the prevention of diabetes, cancer, dementia and cardiovascular disease courtesy of the high levels of antioxidants they contain. An appetizing tropical fruit, pineapples are packed with vitamin C, with just a sole cup of chopped pineapple pieces containing 80 mg. Along with vitamin C, pineapples also have good amounts of vitamin A, folate, fiber, calcium, magnesium and potassium. Another cruciferous vegetable with copious amounts of vitamin C, brussels sprouts also have bountiful of vitamins A & K, folate, the minerals potassium & manganese, antioxidants, and fiber. One cup (100g) of raw brussels sprouts provide a massive 85 mg of vitamin C while a cup of boiled ones contain 62 mg of the vitamin. Cantaloupe is another healthy fruit that you can turn to for meeting your vitamin C intake. Alone cup of cubed cantaloupe contains an impressive 60 mg of vitamin C.
Besides high amounts of vitamin C, it also has significant quantities of other nutrients like vitamin A, potassium and niacin. Cauliflower, besides being a great source of vitamin C also has abundant amounts of dietary fiber, vitamin K, folate, calcium, phosphorus, potassium, and antioxidants. 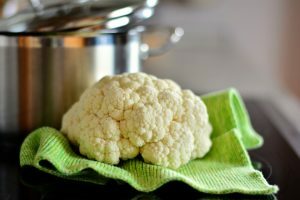 Raw cauliflower has more amounts of vitamin C than when it is cooked with a cup of raw chopped cauliflower containing 50 milligrams of vitamin C while the cooked version having around 30 milligrams in it. One of the best sources of vitamin C that exists in nature, Guavas are overflowing with vitamin C, with just a 100g serving of this fruit containing an enormous 228 mg of vitamin C, more than 250% of the RDA for men. Besides vitamin C, they also have significant amounts of potassium, manganese, fiber, folate and the antioxidant lycopene. This luscious tropical fruit is a very good source of vitamin C, with a 100g serving consisting of 62 mg of the vitamin. 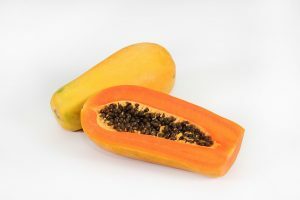 In addition to vitamin C, papayas are also a great source of vitamin A, folate, omega-3 fats, fiber, potassium, and calcium, thus proving to be a great addition to your daily diet. Consuming any of this citrus fruits in combination with warm water on an empty stomach in the morning can be a great way to kick start your day. 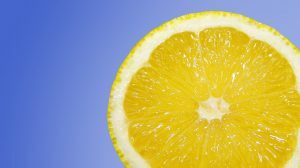 100g of lemon contains 53 mg of vitamin C while 100g of lime has around 29 mg. Broccoli is a full-of-nutrition cruciferous vegetable. It is a rich source of vitamins A, C & K, the minerals potassium & calcium, fiber, and antioxidants. Raw broccoli is especially abundant in vitamin C, with a single cup of raw chopped broccoli amounting to 81 mg of this essential vitamin. 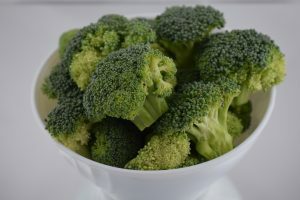 Cooking broccoli reduces its vitamin C content, with a cup of chopped cooked broccoli containing around 50 mg of vitamin C.
Another fruit which is an extremely rich source of vitamin C, a 100g serving of lychee contains 71 mg of vitamin C.
It is also abundant in healthy fats and the mineral potassium. Indian gooseberry or Amla is an intensely rich source of vitamin C and has a light green color and a sour taste to it. It has a concentration of 600-1800 mg of vitamin C in every 100g serving, making it probably the richest source of vitamin C among all foods. 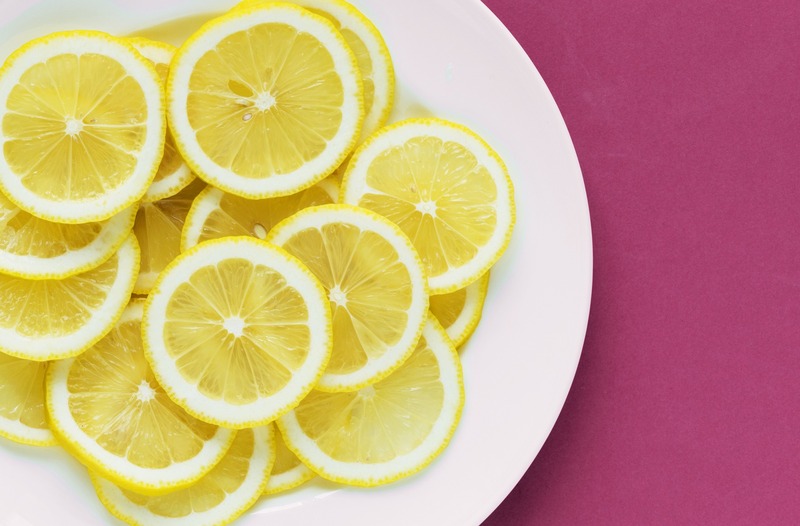 Along with vitamin C, it also has other antioxidants like flavonoids, phenols, and tannins. With 181 mg of vitamin C per 100g serving, Blackcurrants are simply a powerhouse of this essential vitamin. Their dark purple color is due to the presence of antioxidant flavonoids called anthocyanins while they also contain polyphenols. Additionally, they are also a great source of pantothenic acid (vitamin B5), iron and potassium. Kiwi is a luscious tropical fruit with high amounts of vitamin C, calcium, potassium, flavonoids and fiber. 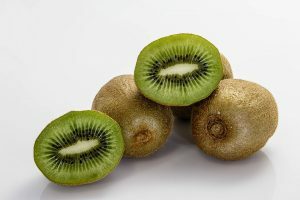 Such is the high vitamin C content of kiwi (60-70 mg in a medium kiwi) that it has more of this essential vitamin than an equivalent amount of orange. They also have potassium in abundant quantities, containing similar amounts to that found in a banana. Research has shown consumption of kiwi may assist in enhancing immunity, decreasing oxidative stress and reducing cholesterol levels. To add to all this, they are also low in calories, making them a superb addition to any diet. 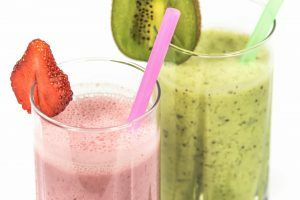 ‘Superfood’ Kale should be a part of every individual’s daily diet as it has a wide array of nutrients and health beneficial effects that one can benefit from. Kale when consumed raw provides an enormous 120 mg of vitamin C per 100g serving while the same quantity of boiled kale has a modest 41 mg of the vitamin. Along with that, it is a rich source of many other nutrients, most notably vitamin K, lutein, and zeaxanthin.